Dutch pay TV satellite provider CanalDigitaal is switching off standard definition versions of the main public service channels and moving them to Astra 3B in a major shake up in Dutch satellite broadcasting. The main Dutch channels including public service channels NPO1, 2, 3 and commercial channels RTL4, 5, 7, Net 5 and SBS6 are currently broadcast encrypted via Astra 1L at 19.2 degrees East across Europe. In 2016, these channels will be switched off, in favour of HD-only transmissions using the Astra 3B satellite at 23.5 degrees East, from where the operator already broadcasts the bulk of its channels. With the change, all channels will use the DVB-S2 MPEG4 broadcast standards. 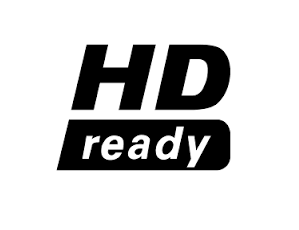 CanalDigitaal is the first Dutch TV operator to remove standard definition versions of the main public service channels, a move which is likely to gain traction in the coming years across Europe, as more broadcasters make HD their default. The changes coincide with an increase in subscription charges. Canal Digitaal's Family HD pack will go up €2 a month and the cost of having additional viewing cards is set to increase by €5 a month to €9.50 from January 2016. It's not possible to receive the main NPO public service channels free-to-air on satellite, which protects the public broadcasters from broadcast rights issues with copyright holders. Auf (Nimmer-)Wiedersehen to Austrian Analogue Television: Austrian cable operators have announced that by 1st September 2016, analogue TV via cable will be a thing of the past. At the end of last year, 12% of Austrian households were still accessing TV via analogue cable, according to Austrian TV reach and ratings measurement organisation Teletest. Terrestrial and satellite platforms are already digital.